So, here is the scenario... Your A/C System has stopped working. You've been to two different shops and they can't find the leak. What do you do? Many times the source of those pesky, unfound refrigerant leaks is the A/C Evaporator. The location of this component is the reason evaporator leaks are tough to find. The evaporator is housed in the evaporator case/housing and buried inside the passenger compartment, between the dash and the firewall in most modern vehicles. This makes even the most advanced leak detectors nearly useless unless the leak it very large. The evaporator works as a heat exchanger. As cold refrigerant flows internally through the evaporator, the blower motor forces warm air from the passenger compartment to flow through the evaporator externally. As the air flows through, the evaporator absorbs heat from the air and stores it in the refrigerant to be released into the atmosphere outside the vehicle. Leaks and restrictions are the two failures this component can develop over time. Oily residue on the inside of the windshield. 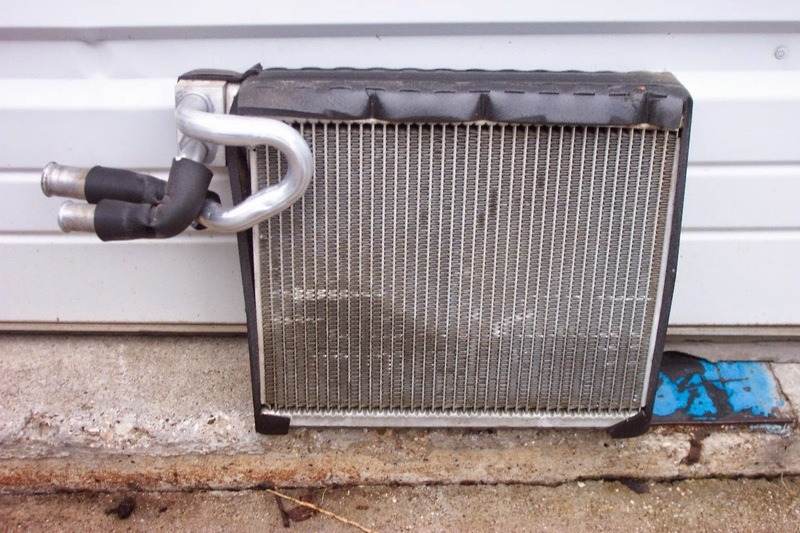 Unlike the oily residue from a leaking heater core, this oily reside is odorless and colorless. Pressure readings that are high on the High Pressure Side and low on the Low Pressure Side of the system. This symptom may indicate a restricted evaporator...especially if the symptom continues after the orifice tube or expansion valve has already been replaced. At Kool Kar Auto Repair we take the time and effort to diagnose your vehicle right. Come to Kool Kar for all of your auto repair needs.